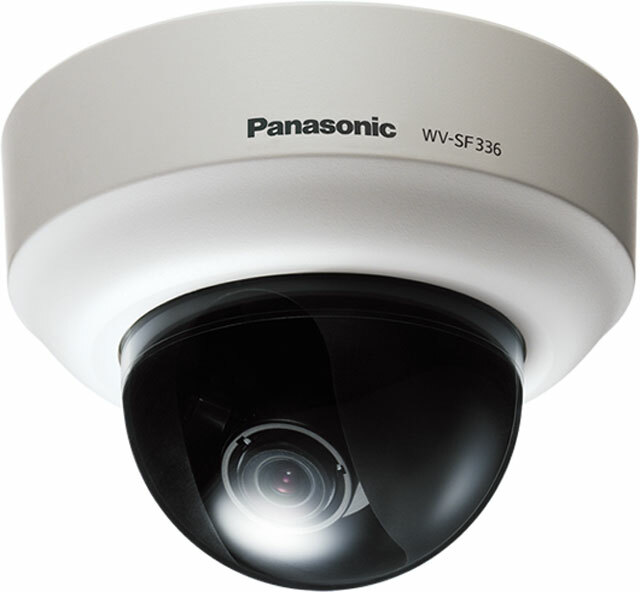 The Panasonic WV-SF336 has been discontinued. No direct replacement is available. The WV-SF336 is part of the i-PRO 3rd generation i-PRO SmartHD Series. Experience 720p HD images at 1,280x960 up to 30 frames per second realized by the newly developed 1.3 Megapixel high sensitivity MOS Sensor. Multiple H.264 (High Profile) streams and JPEG streams ensure simultaneous real time monitoring and high resolution recording at a lower bandwidth by UniPhier, Panasonic's proprietary System LSI platform. Wide Dynamic Rance and Adaptive Black Stretch (ABS) technologies deliver wider dynamic range compared to conventional cameras and Face Wide Dynamic Range technology ensures clear images of the face, while the Face detection function detects the position of the human face and the information is sent by XML or video stream.